Recently I was invited to contribute to an Arts Council-funded dance project on human experience ‘Organic Entity’. It combined three choreographers (Anna Watkins, Neus Gil Cortés, Salah El Brogy) and three scientists (me, Julieta Galante and Amanda Williamson) to advise on a triple bill of individual pieces with the themes of Body, Mind and Transcendence. My initial reaction to Anna’s email seeking collaboration was ‘! !’ quickly followed by ‘do I have the right expertise for this?’. Anna was looking for someone to advise on human evolution, and that is my speciality, but I tend to work on older periods and not so much on our species, Homo sapiens. We chatted on the phone and not only did we really get on, Anna was also interested in early hominins, their locomotion and sociality – questions that intrigue me too. So, I was in – an advisor on a contemporary dance project. Not only was this entirely new academic territory, as a complete dance ignoramus I had no idea what we were aiming for or how we’d get there. Anna was choreographing the ‘body’, with a 15 minute piece called ‘Human-Animal’. We met in Nottingham in April and I gave Anna a crash course in great ape relationships and anatomy, as well as discussion on how hominins have been reconstructed through time, and how ideas have changed as new fossils are found. This was backed up with later emails containing links to films and powerpoints, giving more detail on specific aspects of evolution and movement. 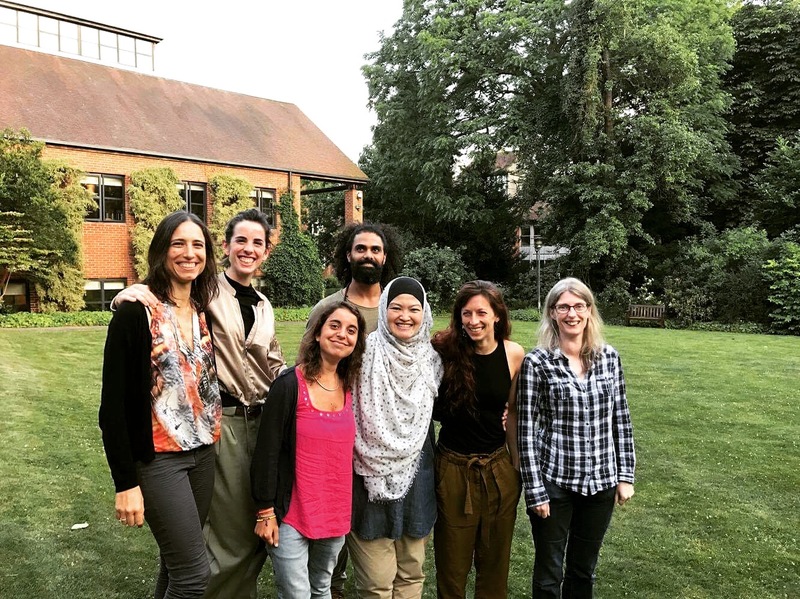 The resulting pieces were performed in June in London, Norwich and Oxford, with a Q&A between the choreographers and scientists in Cambridge on June 22nd. This was live-streamed on facebook and has had over 300 views. At Cambridge I had the chance to meet the other choreographers and experts, and to discuss the process in more detail. What fascinated me was the wholly different vocabulary that is used to express the research. The dancer’s movements evoke emotions and feelings – two words that you don’t usually associate with science. It’s completely opened my eyes to new ways of looking at our work, showing that there are very different and equally successful ways of presenting what we do. So will I be including dance in my work in future? I very much hope so, and that’s something I would never have said 6 months ago. Presenting our work ‘through the medium of dance’ is a standard joke in academia, and I think we’re missing out – our work doesn’t have to be papers, lectures and TV shows – the performing arts have a lot to offer (and it’s really fun too). Watch excerpts from the performance and the Cambridge Q&A here.